If you’ve never been to an edition of It’s The Ship, we implore you to. It’s a festival experience like no other. The combination of sun, sand, seas and dance music is intoxicating. It’s The Ship is set to celebrate its fifth anniversary this year, setting sail from Singapore to Phuket and back from 4 to 7 November. This year’s impressive lineup features headliners such as Vini Vici and Cash Cash. These two groups are no stranger to headlining multiple sold out festivals around the world. Ever since Cash Cash’s song ‘Take Me Home’ featuring Bebe Rexha blew up in 2016, they have become a fan favourite. 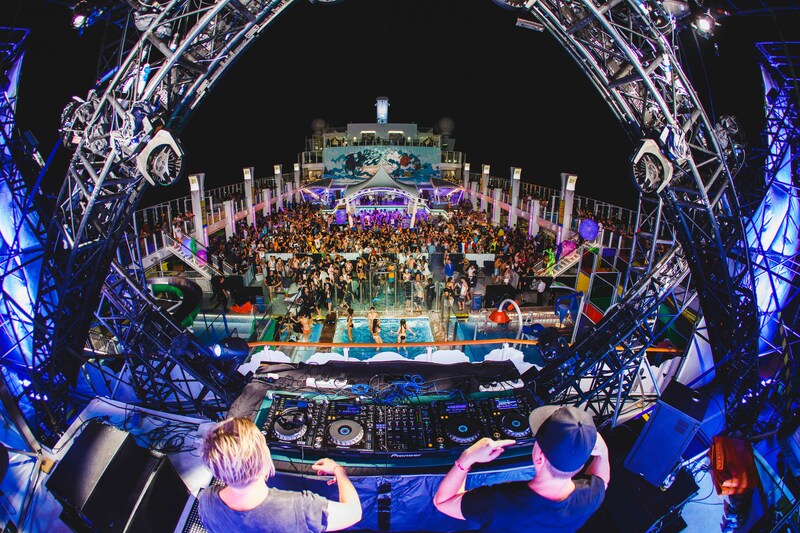 Joining the world-class ensemble is Showtek, Sander Van Doorn, Nervo, Cosmis Gate, Grandtheft, Chocolate Puma, duo Sunnery James and Ryan Marci, Darude, and Hot Dub Time Machine, all of whom will make sure you’re having the best time possible. Then, what better way to close It’s The Ship 2018 than with a performance by Grammy Award-winning record producer Paul Van Dyk? Don’t forget to say “aye aye captain” to Big Shaq, this year’s appointed celebrity captain. Big Shaq, aka Michael Depaah first came into the spotlight when he appeared on BBC UK’s Fire in the Booth. Since then Depaah has quickly become a viral sensation with more than 280 million worldwide views on his single Mans Not Hot. In addition to all these artistes, cruise-goers can expect themed pop up parties, artiste-led side activities, and even more surprises to be revealed onboard. Possibly the best thing about It’s The Ship 2018 is its affordable prices. Thanks to this year’s Cabin Instalment Plan, being a part of this journey is easier than ever with the full festival experience from as low as USD$80 per month.